When Will Uber Become Profitable? Who Knows? Dara Khosrowshahi, who is replacing Travis Kalanick as CEO, has a bigger challenge than just fixing Uber's culture. Uber Technologies Inc.'s freshly appointed CEO, former Expedia Inc. (EXPE - Get Report) chief Dara Khosrowshahi, has his work cut out for him in his new role atop the ride-hailing startup. But there's one challenge that might prove even more important than its well-publicized lawsuits and broken corporate culture. Khosrowshahi is about to take the helm of a startup that's losing billions of dollars each year. And while some investors say that's a necessary price to pay for rapid revenue and customer growth, others contend that the hyper growth Uber has been known for isn't a given and could soon become unsustainable. And if a slowdown occurs, that could diminish the company's currently-assigned $68 billion valuation, while ratcheting up the pressure on Uber to finally turn a profit. Many have started to ask that very question: When, if ever, will Uber become profitable? According to experts, there isn't exactly a clear answer, largely because its existing investors didn't wait for the company to establish a path to profitability before forking over large sums of money. Uber didn't get the title of being the world's most highly-valued private company for nothing. 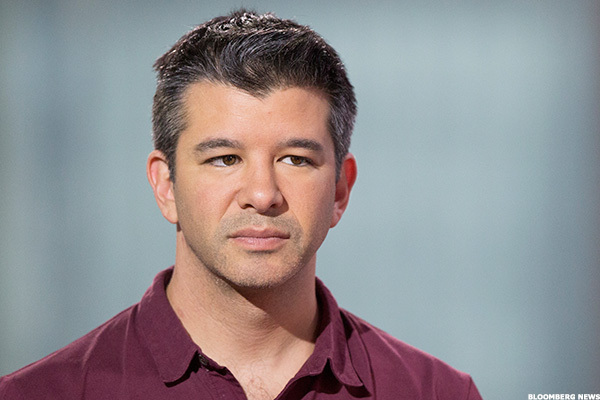 Former CEO Travis Kalanick sold investors a story of Uber's future—one where it was everything and everywhere, in markets ranging from ride share to delivery, with a business that touched all corners of the globe. That gave Uber a potentially gigantic total addressable market and, as a result, venture capitalists poured money into the company, propping its valuation up more and more each year. In June 2014, Uber was worth a sizable $18 billion, but by December 2015, it had amassed a valuation of $68 billion. The story that Kalanick sold investors wasn't completely false, but it assumed that Uber would be the biggest and most successful player in the ride-hailing market. Uber went after the traditional taxi market by offering cheap rides that could get you where you want to go faster than a yellow cab, which involves giving drivers incentives (like bonuses) and a cheap fare for riders. Those subsidies are a major driver behind Uber's rapid growth over the past several years, but they also ran up Uber's expenses like crazy. Is Uber About to Accept Bitcoin Directly? "They have two assets—drivers and riders—so they need to spend on things like a good PR image to keep them," said Santosh Rao, head of research at investment bank Manhattan Venture Partners. "The idea is so your funnel is wide enough that you capture all the customers. So you can capture as many new riders as possible." The idea was that Uber would dominate the world, allowing it to eventually raise prices, cut expenses and earn profits. Unfortunately for Uber, competitors including Lyft, Gett, Didi Chuxing, Grab and others started to emerge, which meant they've had to keep prices low. At the same time, Uber has rushed into numerous international markets and ramped up spending on big bets like self-driving cars, freight and food delivery. This accelerated its cash burn, which totaled $600 million during the second quarter. At that rate, Uber would have until the 2019 fourth quarter before it would be out of money and would need to tap a $2.3 billion line of credit, according to Bloomberg. With the installation of a new CEO, Uber is likely looking to its future and realizing that there are limits to its grow-at-all-costs attitude. Khosrowshahi will have to come up with a new, better business model for Uber, which might mean reducing some of the company's spending and refocusing its efforts on more stable markets such as the U.S. and Europe, said Aswath Damodaran, a finance professor at the Stern School of Business. While Kalanick's vision has generated massive growth for Uber so far, Damodaran said it's "starting to fall apart." According to him, that began with the sale of Uber China to Didi Chuxing in 2016—a move that some interpreted as a major loss for the ride-sharing company because China is such a huge market. "The story came apart because the facts started to get in the way," Damodaran explained. "If you're a vision person, like Travis is, you need to come up with a new vision that reflects the world you're in, not the one you wish you were in." Damodaran said some venture capital firms and high-level employees at Uber still stand behind Kalanick's vision, which doesn't provide a clear path to profitability. But, realistically, Uber can't keep functioning on its current business model, lest it run out of cash soon. Uber had $6.6 billion cash on hand at the end of the second quarter, down from $7.2 billion in the first quarter. Khosrowshahi has to scale back expectations, Damodoran said, and his best bet might be to take the fall from a "down round," where a private company must raise more capital at a lower valuation than it did previously, which many expect is coming. Long gone is the day when an IPO exit for venture capital and other investors was instead the most anticipated scenario for Uber. But the company has no choice but to raise more capital in whatever way it can until it manages to stem its losses. SoftBank has reportedly offered to buy disgruntled Uber investor Benchmark Capital's stake in a deal that would value Uber between $40 billion and $45 billion —a "big shift" from its current valuation of roughly $70 billion, Damodaran noted. "This is a business model problem, not a temporary problem that they can grow out of," Damodoran explained. "This problem is not going to get smaller as they get bigger. That's why they need to change the business model and start making money." Uber's strategy has centered around it having a first-mover advantage in the ride-hailing market, but it doesn't have that luxury in the self-driving car space. 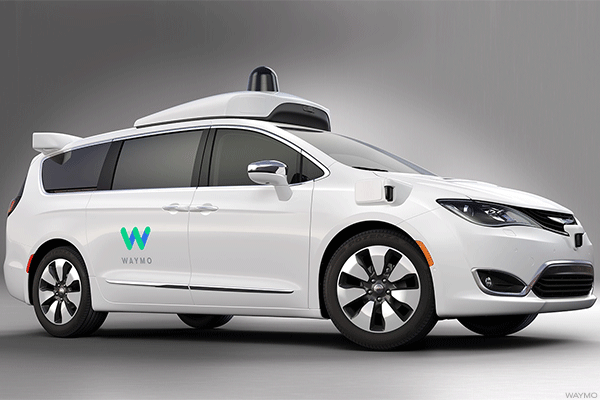 Alphabet Inc.'s (GOOGL - Get Report) Waymo, which Uber is currently entangled with in an intellectual property lawsuit, is arguably farther ahead in bringing self-driving cars to the mass market. Google is also a much different beast than if Uber were fighting another startup. "Google has a significant advantage and Uber has to recognize that [self-driving cars] are a very different business, where growth is slower," Damodoran said. "You need a lot more capital to grow, which makes them dependent on raising more capital." If Uber goes all in on self-driving cars, the annual revenue growth would decelerate to be more in the range of 15% to 20% vs. the 80% revenue growth that has been customary in its history. The company would have to sell investors on a slower growth story, which is a vastly different picture than what Kalanick originally pitched. No matter which way you look at it, Khosrowshahi will have to develop a fresh strategy for Uber. Mitchell Green, a partner at Lead Edge Capital that invested in Uber at the $40 billion valuation in 2015, said he believes Khosrowshahi is "phenomenal" and understands Uber's long term return on investment. Green added that Khosrowshahi also showed at Expedia that he was willing to take calculated bets for long term growth. But Damodoran maintained that Uber should consider pulling back on those bets if it wants to achieve a profit any time soon. Uber has a 30% chance of achieving profitability if it's solely basing its value on the idea that people will eventually stop buying cars, in favor of ride-sharing. If that comes true, Uber could be worth as much as $100 billion, but that's unlikely, he said. "There is no 100% pathway to profitability," Damodoran said. "Everything has to work out to perfection for them to get there. Maybe investors see something I don't. When I look at Uber, they have potential, but lots of faults along the way." "If you can navigate those pitfalls, they would be worth a lot," Damodoran added. Editors' pick: Originally published Aug. 30.